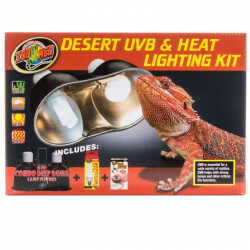 Your pet reptile needs a certain level of lighting to live healthy and happily. 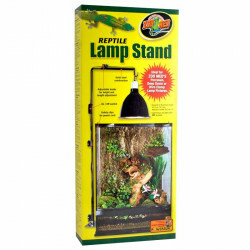 Light Fixtures, such as terrarium lights, terrarium lamps and light fixtures, are an important part of your terrarium and make the difference between a healthy reptile and one that is not so healthy. Fish and Terrarium light fixtures add the right level of light and provide a nice design element to your tank. 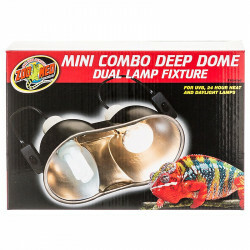 Pet Mountain offers a variety of brands of light fixtures including Current USA, ESU Zoo Med, Zilla, Exo-Terra, Flukers, Newtek, Perfecto and Tom/Oscar Enterprise Light Fixtures. No matter what type of terrarium light fixtures you need, youll find a detailed description of each product within our shopping area. Need to accommodate a terrarium lamp stand? No problem. Terrarium lamp stands are great for holding your terrarium lamps, protecting your home and keeping your animals warm. 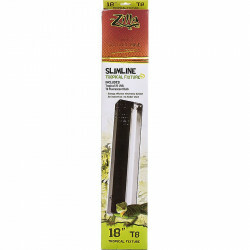 Use it with wire basket or metal dome light fixtures. We also have Zoo Med clamp lamps such as the Black Dimmable Clamp Lamp, where you need to reduce heat and light output on your incandescent lamp. They feature an adjustable dimmer switch. Newtek light fixtures include a collection of Chrome reflectors that are used as both reptile lights and heat reflectors. The 10" 250-watt Newtek light fixtures are polarized portable lamps complete with a hanger, wire guard and high heat porcelain socket. 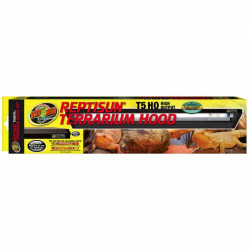 Fluorescent Flukers Light Fixtures are a full spectrum lighting system that works great for aquariums and terrariums and only require 1 fluorescent bulb. Current USA light fixtures include the very popular Nova Extreme Pro T5HO 10k/460 nm Actinics, Lunar Lights nocturnal simulator LED lights, Orbit Dual day actinic as well as the Lunar Link. 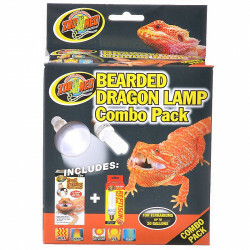 Take a look at our huge selection of reptile light fixtures. Discover all the specials and discounts. Cant find something? Let us know; well track it down. And dont miss our online coupons and discount shipping on all your favorite products. Pet Mountain  the undisputed online leader for pet accessories, food and supplies!